2 Obama hiding pro-Palestinian views? Barack Obama - Ties to Islam and Islamic radicals. In a televised interview in 2008 on New York's all news cable channel, NY1, 88-year-old Percy Sutton, a former borough president of Manhattan and a credible mayoral candidate in 1977, made some interesting revelations about his links to the young Obama. Sutton told NY1 reporter Dominic Carter on the show "Inside City Hall": "I was introduced to (Obama) by a friend who was raising money for him." He asked Sutton to write a letter in support of Obama's application to Harvard Law School. "The friend's name is Dr. Khalid al-Mansour,(formerly Donald Warden, mentor of Black Panther Party founder Huey Newton and his associate, Bobby Seale) from Texas," Sutton said. 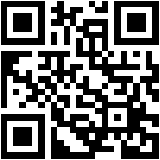 "He is the principal adviser to one of the world's richest men. He told me about Obama." According to Newsmax columnist Kenneth Timmerman, "At the time, Percy Sutton, a former lawyer for Malcolm X and a former business partner of al-Mansour, says he (al-Mansour) was raising money for Obama's graduate school education, al-Mansour was representing top members of the Saudi Royal family seeking to do business and exert influence in the United States." A November 1979 column by TV commentator and respected Chicago Tribune columnist Vernon Jarrett with the title "Will Arabs Back Ties To Blacks With Cash?" The late Vernon Jarrett was the father-in-law of Valerie Jarrett, who would go on to become what Miele calls "the consigliere of the Obama White House." Mr. Jarrett was a colleague and one of the best friends of Frank Marshall Davis, the former Chicago journalist and lifelong communist who moved to Hawaii in the late 1940s and years later befriended Stanley and Madelyn Dunham and their daughter Stanley Ann, mother of Barack Obama. In a March 2007 post on his website The Electronic Intifada, Chicago activist Ali Abuminah criticized Barack Obama, for an apparent reversal of his previous pro-Palestinian views. On Friday Obama gave a speech to the American Israel Public Affairs Committee (AIPAC) in Chicago. It had been much anticipated in American Jewish political circles which buzzed about his intensive efforts to woo wealthy pro-Israel campaign donors who up to now have generally leaned towards his main rival Senator Hillary Clinton. Reviewing the speech, Ha'aretz Washington correspondent Shmuel Rosner concluded that Obama "sounded as strong as Clinton, as supportive as Bush, as friendly as Giuliani. At least rhetorically, Obama passed any test anyone might have wanted him to pass. So, he is pro-Israel. Period." Israel is "our strongest ally in the region and its only established democracy," Obama said, assuring his audience that "we must preserve our total commitment to our unique defense relationship with Israel by fully funding military assistance and continuing work on the Arrow and related missile defense programs." Such advanced multi-billion dollar systems he asserted, would help Israel "deter missile attacks from as far as Tehran and as close as Gaza." As if the starved, besieged and traumatized population of Gaza are about to develop intercontinental ballistic missiles. Obama offered not a single word of criticism of Israel, of its relentless settlement and wall construction, of the closures that make life unlivable for millions of Palestinians." Abunimah then went on to give, a different perspective on Obama's views and told of the Obamas dining with radical Arab academic Edward Said. 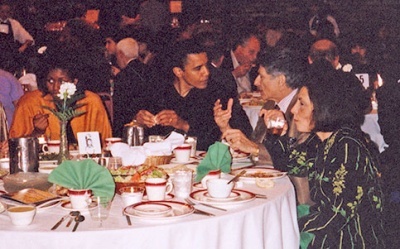 Michelle Obama, then Illinois state senator Barack Obama, Columbia University Professor Edward Said and Mariam Said at a May 1998 Arab community event in Chicago at which Edward Said gave the keynote speech. "Over the years since I first saw Obama speak I met him about half a dozen times, often at Palestinian and Arab-American community events in Chicago including a May 1998 community fundraiser at which Edward Said was the keynote speaker. In 2000, when Obama unsuccessfully ran for Congress I heard him speak at a campaign fundraiser hosted by a University of Chicago professor. On that occasion and others Obama was forthright in his criticism of U.S. policy and his call for an even-handed approach to the Palestinian-Israeli conflict. As he came in from the cold and took off his coat, I went up to greet him. He responded warmly, and volunteered, "Hey, I'm sorry I haven't said more about Palestine right now, but we are in a tough primary race. I'm hoping when things calm down I can be more up front." He referred to my activism, including columns I was contributing to the The Chicago Tribune critical of Israeli and U.S. policy, "Keep up the good work!" If disappointing, given his historically close relations to Palestinian-Americans, Obama's about-face is not surprising. He is merely doing what he thinks is necessary to get elected and he will continue doing it as long as it keeps him in power. Palestinian-Americans are in the same position as civil libertarians who watched with dismay as Obama voted to reauthorize the USA Patriot Act, or immigrant rights advocates who were horrified as he voted in favor of a Republican bill to authorize the construction of a 700-mile fence on the border with Mexico." In 2003, then-Illinois state Senator Barack Obama spoke at a farewell event for Rashid Khalidi who was leaving Chicago for a professor job at Columbia University in New York. Obama was a friend of Khalidi and his frequent dinner companion. He had many in-depth conversations over meals prepared by Khalidi's wife, Mona at their home in Chicago. "He has family literally all over the world. I feel a kindred spirit from that." In 2000 Rashid Khalidi held a fundraiser for Obama's unsuccessful run for congress. The Woods Fund of Chicago made grants totaling $75,000 to Khalidi's Arab American Action Network in 2001 and 2002, while Obama served as the Director of the Fund. 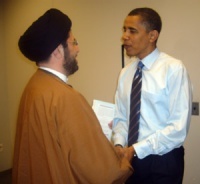 Then Presidential candidate Barack Obama met with Iraq born, Iran educated, Michigan Muslim leader Sayed Hassan AlQazwini in May 2008, reportedly arranged through Qazwini's American Rights at Work colleague and Obama Transition Team member David Bonior. "Imam Hassan Qazwini, head of the Islamic Center of America, said in an email that he met with Obama at Macomb Community College. A mosque spokesman, Eide Alawan, confirmed that the meeting took place. During the meeting, the two discussed the Presidential election, the Arab-Israeli conflict, and the Iraq war, according to Qazwini. They gave him an opportunity for a one-on-one." The real victory had come long before when two of their biggest politicians, Joe Biden and John Kerry, had moved into prime positions in the administration. Not only Iran America Political Action Committee, but key Iran Lobby figures had been major donors to both men. That list includes Housang Amirahmadi, the founder of the American Iranian Council, who had spoken of a campaign to “conquer Obama’s heart and mind” and had described himself as “the Iranian lobby in the United States.” It includes the Iranian Muslim Association of North America (IMAN) board members who had fundraised for Biden. And it includes the aforementioned Hassan Nemazee. Questions about donations from the Iran Lobby had haunted John Kerry’s presidential campaign. Back then Kerry had been accused of supporting an agreement favorable to Iran. The parameters of that controversial proposal however were less generous than the one that Obama and Kerry are trying to sell now. The hypothetical debates over the influence of the Iran Lobby have come to a very real conclusion. Both of Obama’s secretaries of state were involved in Iran Lobby cash controversies, as was his vice president and his former secretary of defense. Barack Obama was also the beneficiary of sizable donations from the Iran Lobby. Akbar Ghahary, the former co-founder of IAPAC, had donated and raised some $50,000 for Obama.